Whether food or news, everyone is talking about fresh and local, right? To that end, WDIV-TV Local 4 has launched a new, live show featuring topics that matter most – all from the eyes of local social media professionals and other experts. 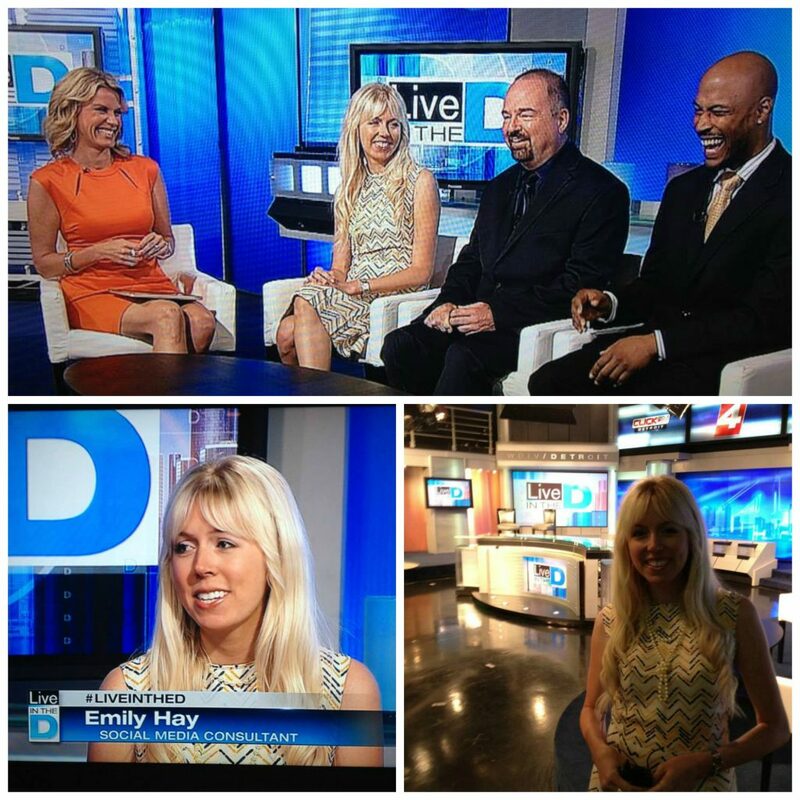 Live in the D launched at 11 a.m. Aug. 12 with some big buzz! Hosted by Karen Drew, a veteran reporter and anchor and a mom herself, and Guy Gordon, a trusted anchor with years of experience, Live in the D is aimed at being relevant and relatable. The show debuted with a segment called “The Professionals,” which included Emily A. Hay on the panel. The hour-long show feels casual and chatty, including cultural, entertainment and lifestyle stories from both national and local importance – with local being the main focus and positive news stories a priority. The format resembles a newscast and will feature guests and regular contributors. An exciting component of the show to us social media enthusiasts is just how social and interactive the show is! Live in the D was buzzing on Twitter with the hashtag #LiveintheD and the topic was trending on Monday. One viewer Tweeted a question on the opening show asking where Karen Drew got her bright orange dress – Carson’s, she said. This week, Live in the D covered a topic near and dear to our hearts: The business of blogging. 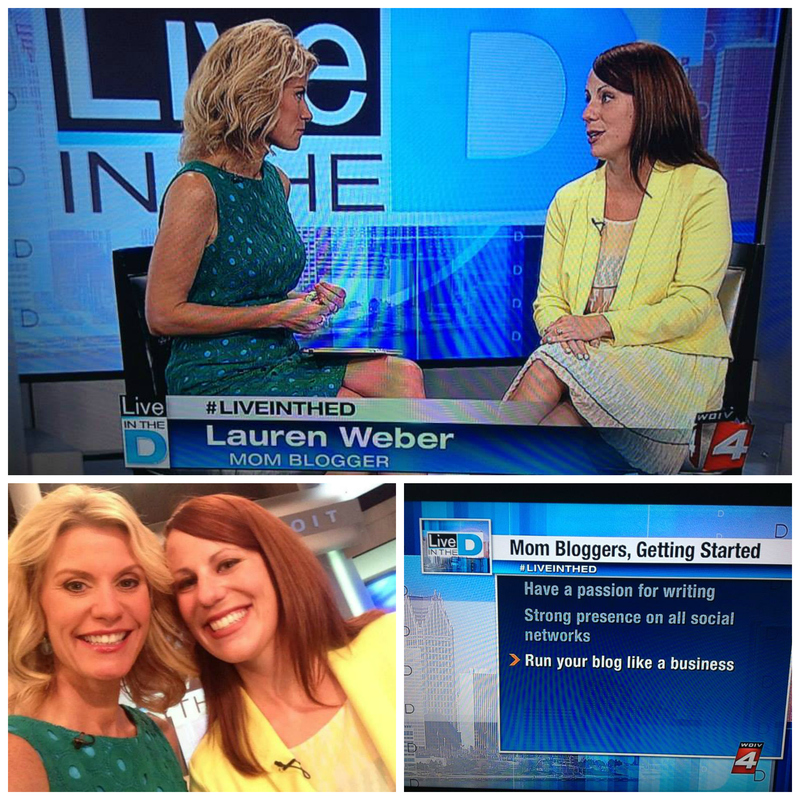 A segment on mommy bloggers featured Lauren Weber, Hay There’s social media manager and founder/blogger at Mrs. Weber’s Neighborhood. She shared tips on getting started blogging. Have you watched Live in the D yet? Check it out online and tell us: Do you think the show is relevant? Interesting? What local topics or people would you like to see featured? Tweet them using the #LiveintheD hashtag! Wow, will this show include sincere ordinary residents of Detroit? Hi Frank, thanks for reading. You should tweet show and guest suggestions to them @LiveintheD or use the hash tag #LiveintheD. Hope this helps!